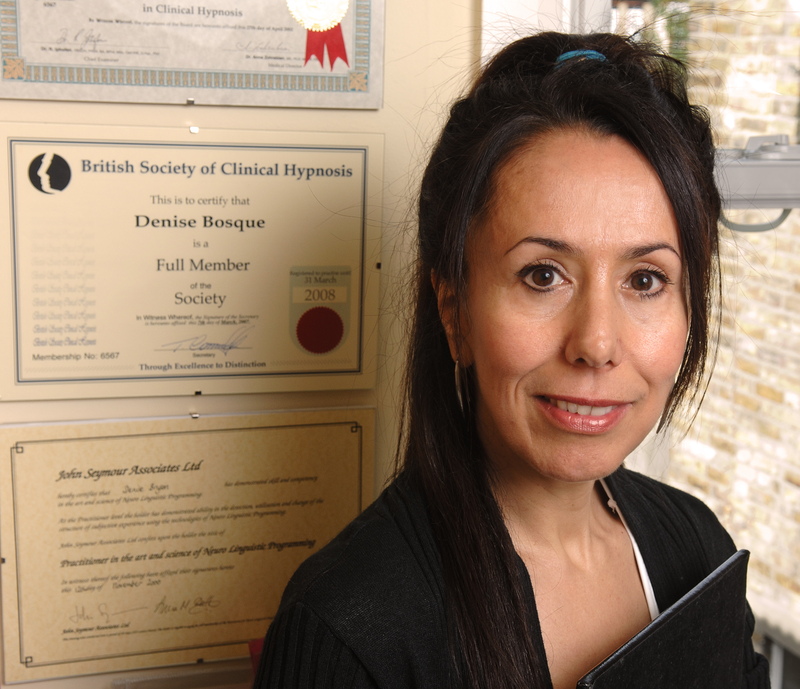 Denise Bosque, D.Hyp, EMDR, NLPMP, LARC, Mindfulness Prac. I’m Denise Bosque and I help people be happier. Everyone has the potential to be happier, they just don’t know how. As a qualified practitioner in various therapies I have helped thousands of people resolving issues around confidence, relationships, well-being and anxiety. Professionals, in particular, have so much stress and anxiety going on, often they are close to burnout. So I developed a process to identify obstacles to their success, and how to achieve it. If you want to accelerate your well being mentally and emotionally then this process helps you gain clarity, confidence and shift old dis-empowering beliefs and behaviours. Ultimately to be re-inspired and absolutely authentic. This may involve some or even all the following; NLP Coaching, Hypnotherapy, EMDR, Anxiety Recovery,Mindfulness and EFT. You are unique and you need a bespoke approach for you. Then you can go forward into your life AUTHENTICALLY and live a happier and purposeful life.